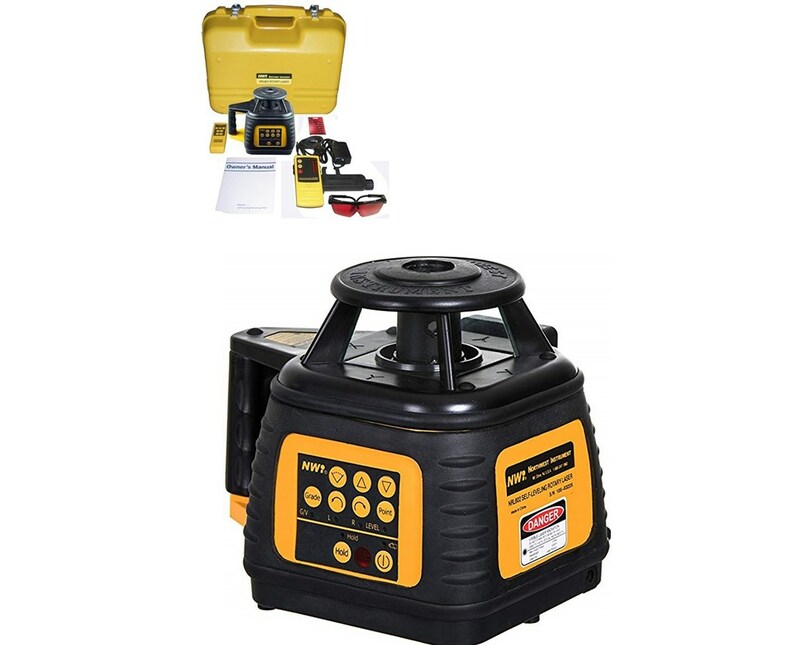 Engineered with the top of the line production, the Northwest Instrument NRL602 Series Self-Leveling Rotary Laser is ideal for leveling, alignment and squaring, cabinet installation, framing, and tilting. 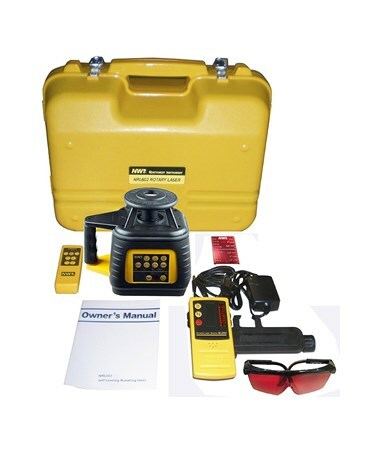 With an operating range of up to 2,000 feet with the NLD5G laser receiver, this rotary laser also features a vertical accuracy of ±1/8 inches and a horizontal accuracy of ±1/16 inches, both at 100 feet. 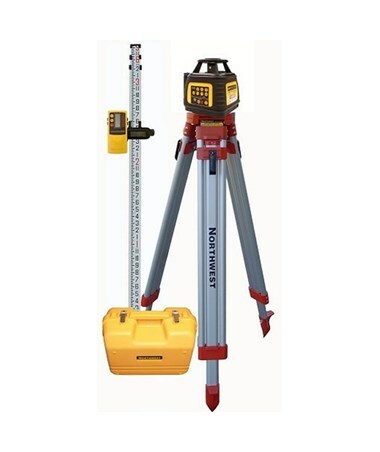 Self-leveling within ±5 degrees, it comes with a horizontal and vertical beam direction. The NRL602 rotating laser comes with rotation speeds of zero and 500 rotations per minute. Also, it has two scan angles, 10 and 20 and a dot scan angle. 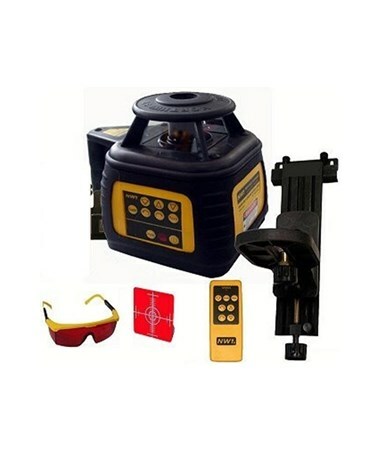 For an effective leveling operation, this self-leveling laser features several functions including horizontal, Zenith and plummet beams with an Electronic Servo Motor leveling method. 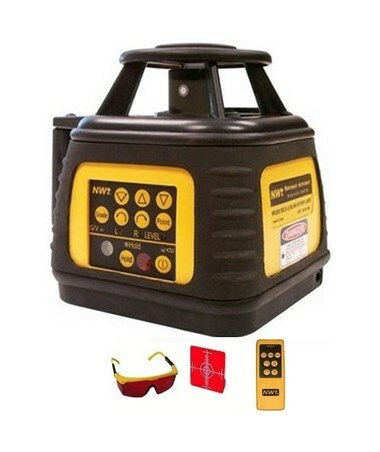 The Northwest Instrument rotary laser level includes a bump sensor and an auto shut-off that prevents costly mistakes while saving battery life. With an IP54 rating, it is protected from dust and water splashes. As an extra feature, it includes a 5/8 tripod thread for mounting. 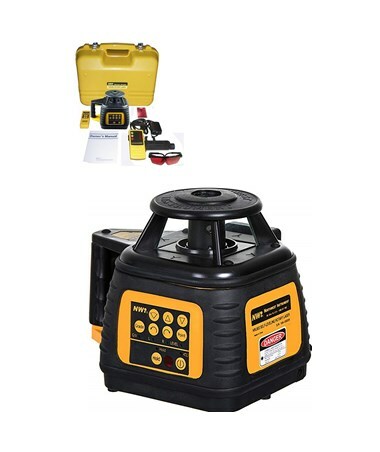 The Northwest Instrument NRL602 Series Self-Leveling Rotary Laser offers four packages with different accessories options. Please select your preference from the drop-down menu above.